It occurred to me that we all have numerous, varied opportunities to investigate or to learn “something new”….something that might help oneself or others: expanding upon a current skill, developing a new skill, following a new or different path, offering a kind word, a smile, a bit of encouragement to oneself or others …not waiting for instructions… not waiting for a “perfect time”….. doing something…. 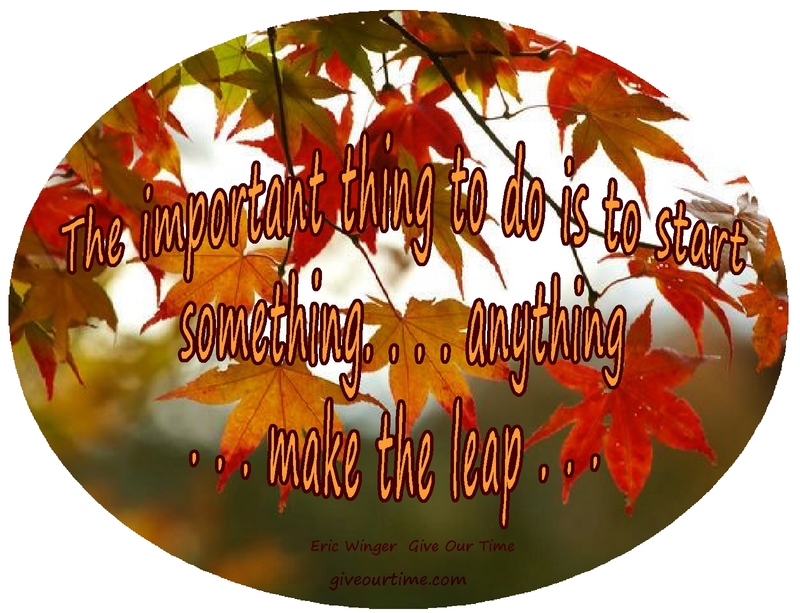 anything… making the leap…perhaps a leap of the mind…perhaps a leap of the spirit…making a leap…. This entry was posted in Inspiration, Motivation and tagged Courage, Encouragement, Happiness, Inspiration, Kindness, Life, Loving kindness, Mindfulness, Motivation, Six Perfections, Spirituality, Strength, Wisdom. Bookmark the permalink. Oh two of my favourite bloggers together in the one post, I love it! I’ve always been a big leaper myself. Much better to take a risk and leap than to spend a lifetime wondering what if? 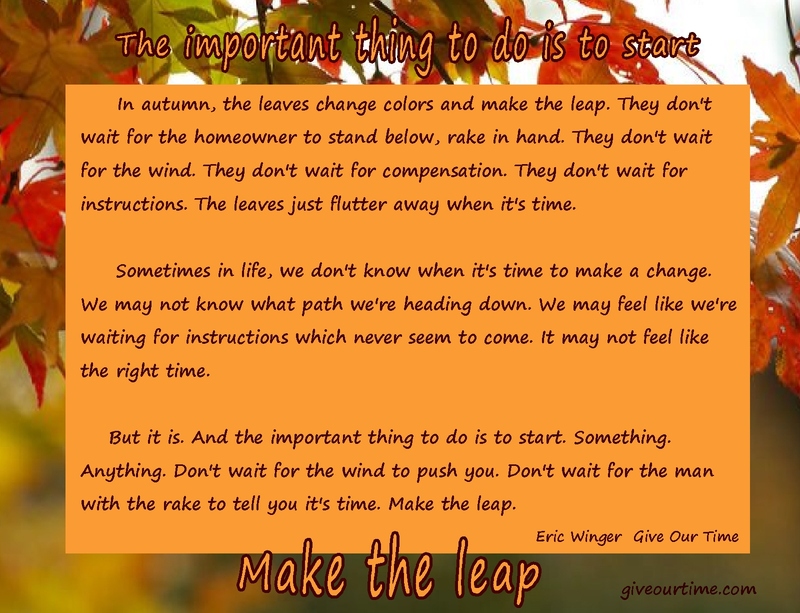 yes…taking the chance on making those leaps…no matter what size leaps they might be! 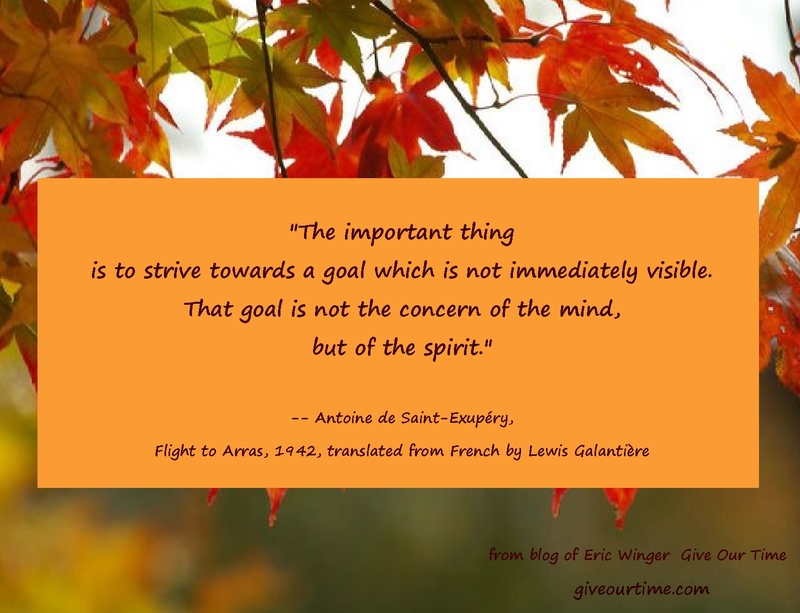 Eric is a special person….what a delight that you know his blog, too!